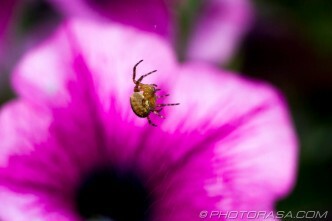 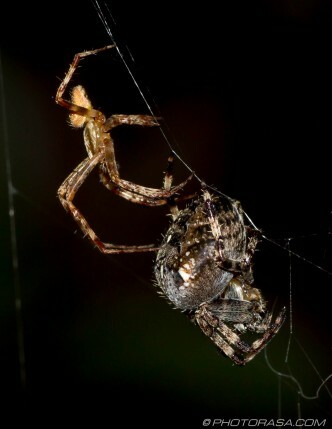 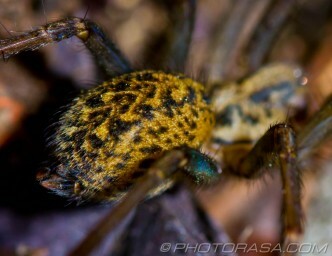 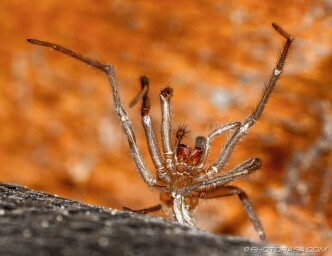 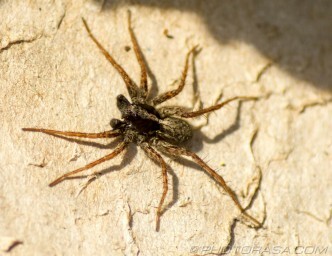 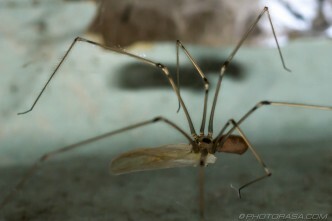 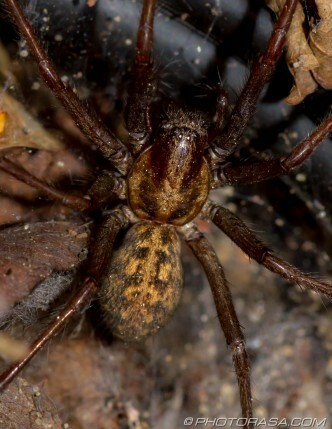 Spider photos and picture galleries. 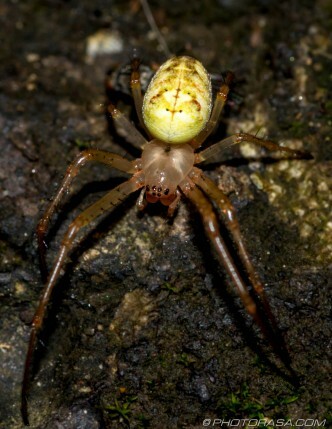 They are small creatures similar to insects but have 8 legs instead of 6 and a fused head and thorax body section to go with the abdomen, as opposed to the three distinct body segments found on insects. 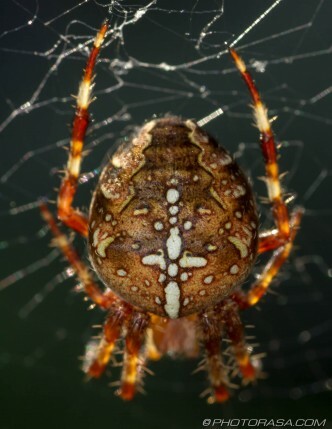 Found in the back garden, unsure of the species but has a beautiful animal skin leopard-type pattern on its abdomen.